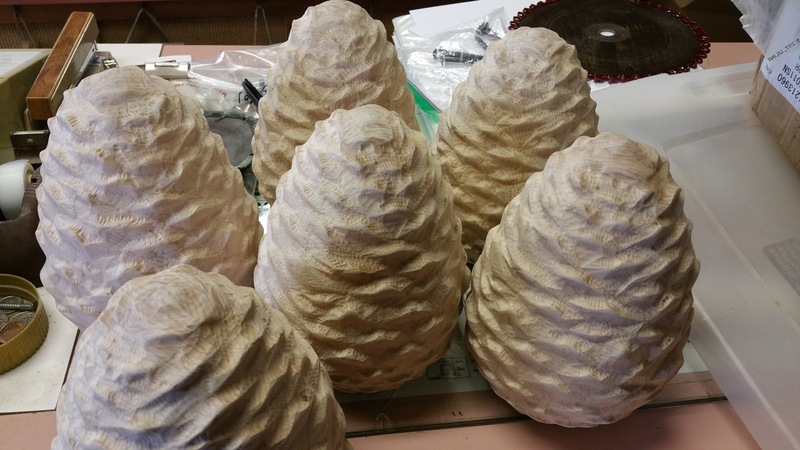 Here are a couple of pictures of large pinecones made out of soft maple. They were carved on the CAMaster CNC Router and finished by hand. 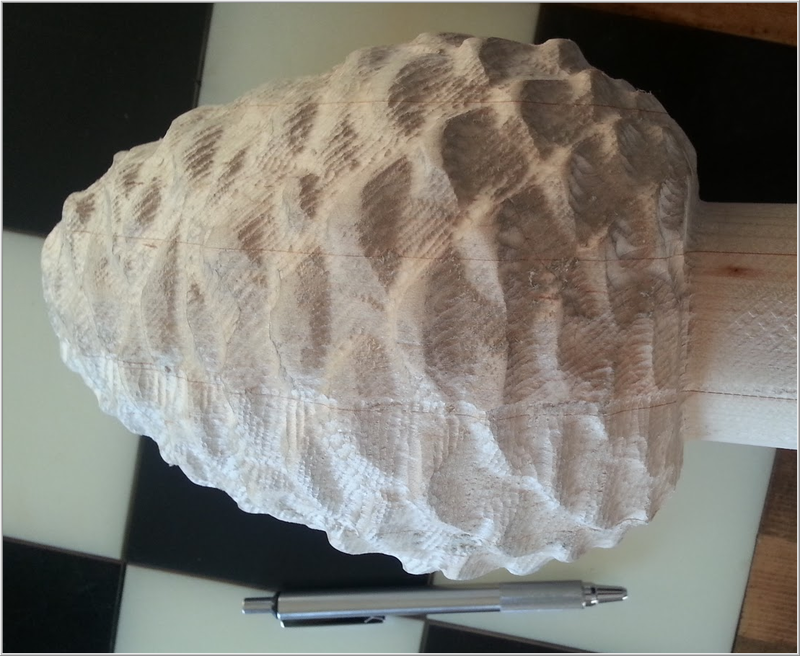 This entry was posted in Projects, Workship and tagged 3D Carving, CAMaster, carving, CNC, CNC Router, Maple, soft maple, Woodworking. Bookmark the permalink.